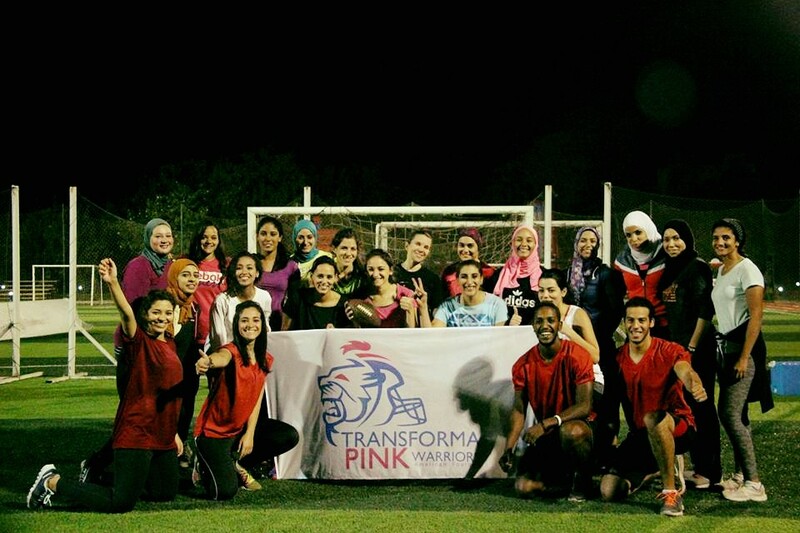 A group of girls who decided that they wanted to break something more than hearts, Pink Warriors is the first American Football team in Egypt. Samir ElDegwi, the founder, stated that when the girls first started, they were not who they are today. He said that in the beginning, they didn’t want to play too hard as they were scared to break their nails. They didn’t play like they should because they wanted their clothes to stay clean. This winter however, everything changed. They were the ones who wanted to play. There was this one rainy day and he cancelled practice. He was shocked by how the girls insisted on going, they were falling in the mud and they didn’t even care. He then knew that it was the start of something big. “These girls are fearless!” Samir stated. They are the ones who want to play, they are always looking for competitions and other teams to compete with. Their hard work finally paid off, as on Friday the 19th of May, The Egyptian team will be playing an international match against the Moroccan team, Black Mambas. Black Mambas is the first females’ American football team in Morocco. The event goes under the name ‘The African Clash 2017’ and it will be held in Egypt in the Olympic center in Maadi. #BreakYourLimits is the hashtag that the event is going viral with. They are encouraging women to get out there and do what they never thought they were capable off. The event is definitely a step towards a better community that respects women and understand that women can do anything men do, and maybe even better! Previous articleTips to Having Strong Nails During Summer Time! Next article5 Steps to Looking Younger!